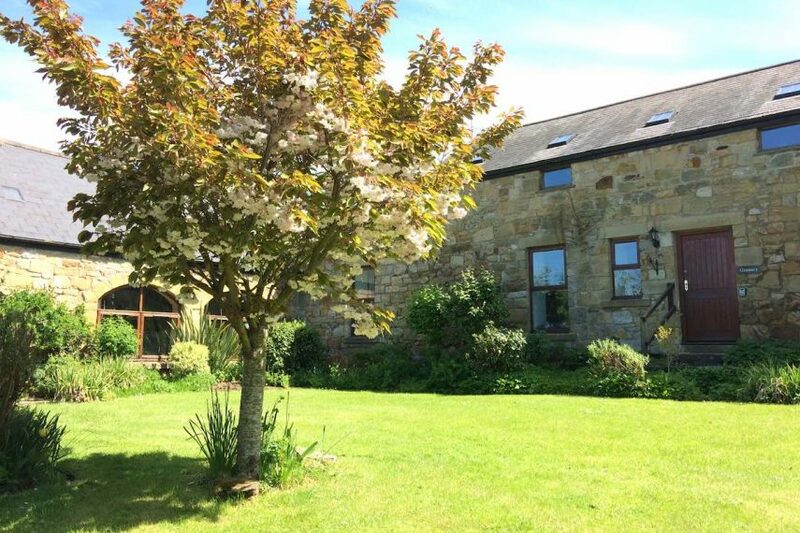 Welcome to Bog Mill self-catering holiday cottages for 2 + baby & 4 + baby, at Bog Mill Farm in the countryside just 1 mile east of central Alnwick. 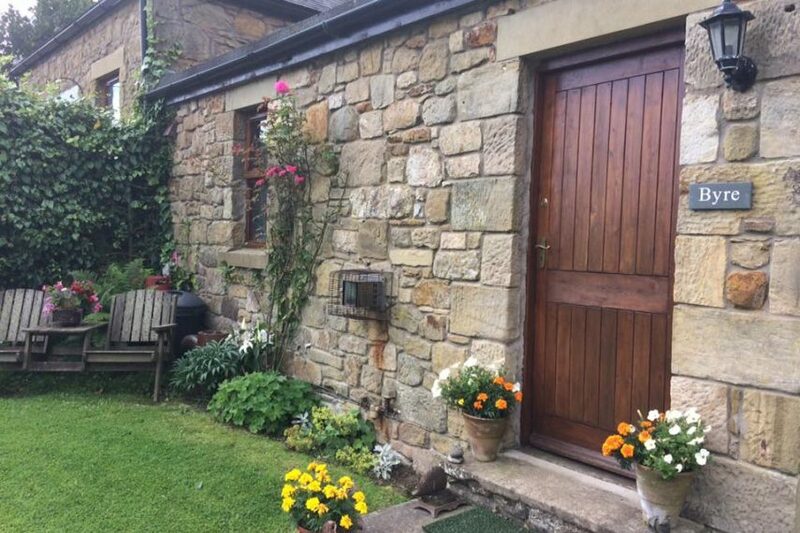 Bog Mill Cottages are situated in the countryside just beyond the outskirts of Alnwick town centre and just 3 miles from the coast. 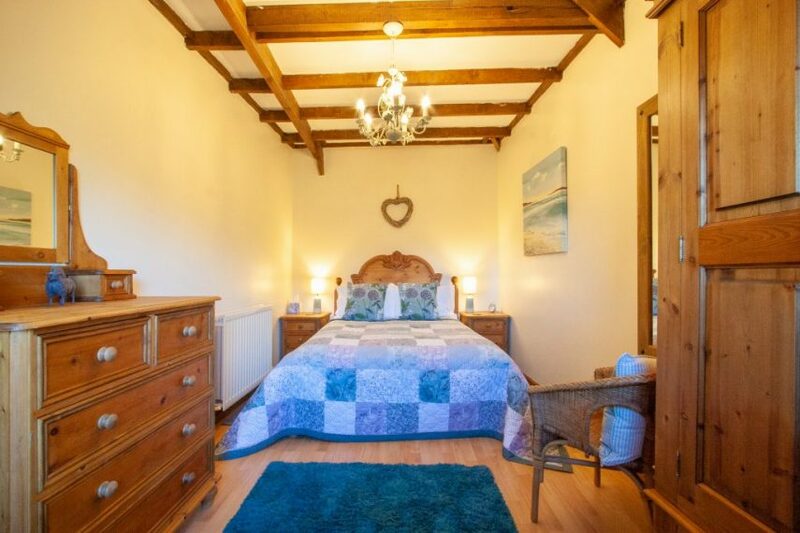 The cottages are sympathetically renovated from 18th century farm buildings and located down a quarter mile private track and overlook the River Aln. Is brand new for 2019. 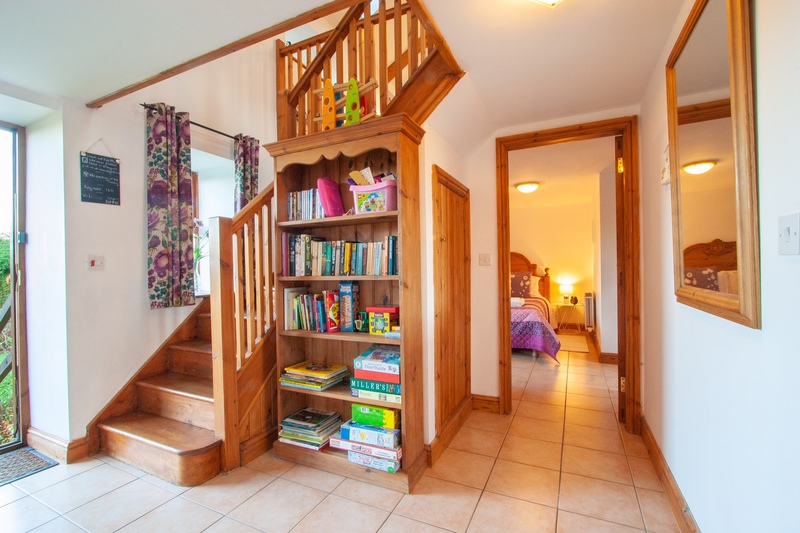 It is a beautiful 2 level cottage which sleeps 4 in two bedrooms. 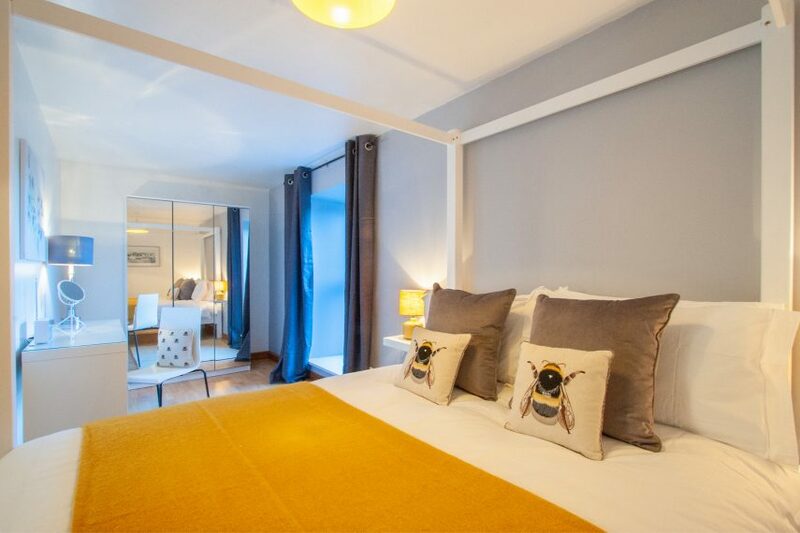 The main double bedroom is on the ground floor and boasts a modern four poster bed. 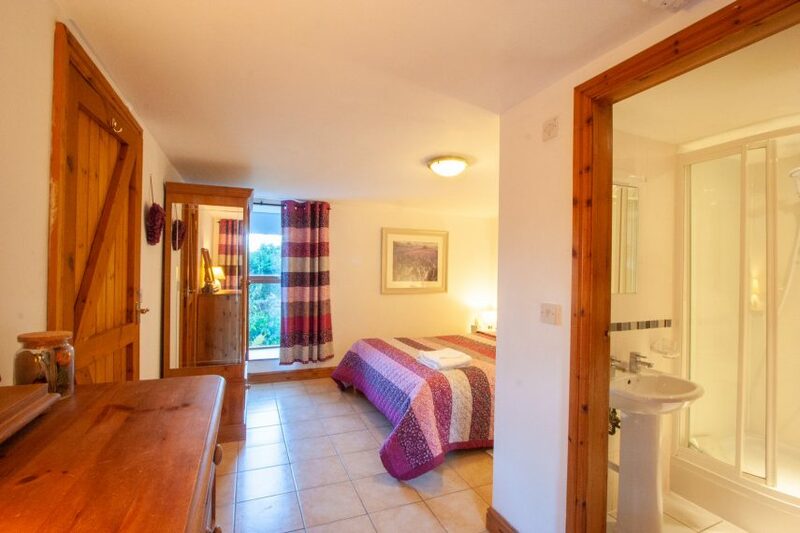 The twin bedroom is on the first floor with its own additional sofa and tv area. 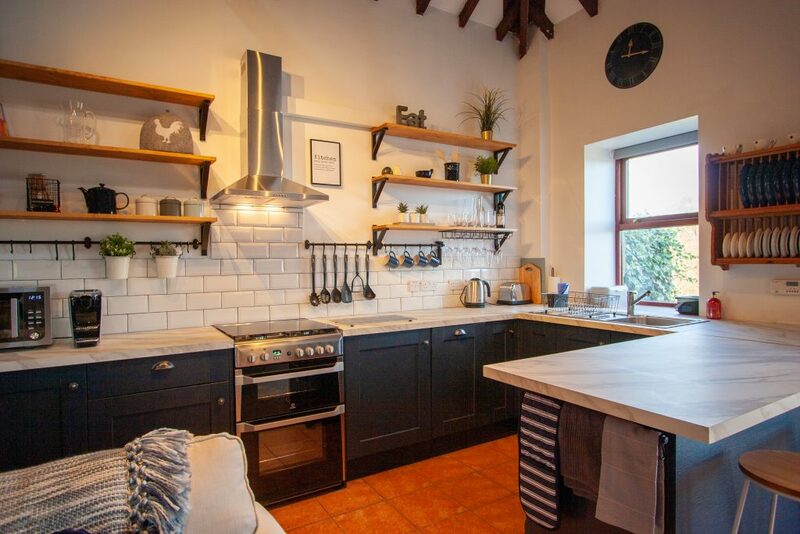 The grand open plan kitchen/ diner lounge has a fully equipped modern kitchen with breakfast bar, comfortable seating area and dining table all located under a double height ceiling with original wooden beams. 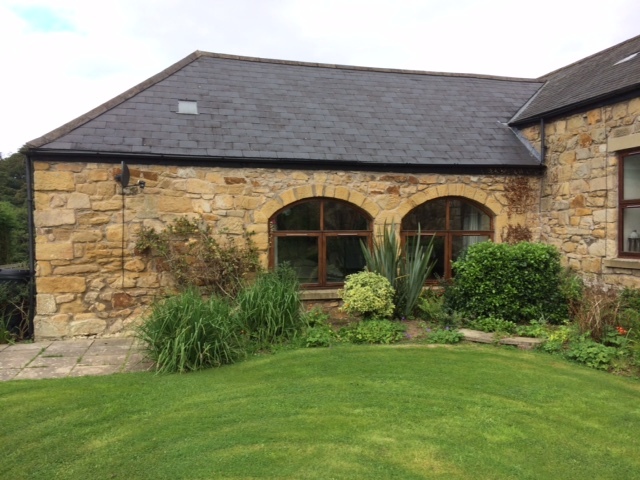 The Stable has patio doors opening onto a paved area overlooking the River Aln. Garden surrounds the cottage with own private area with garden furniture. 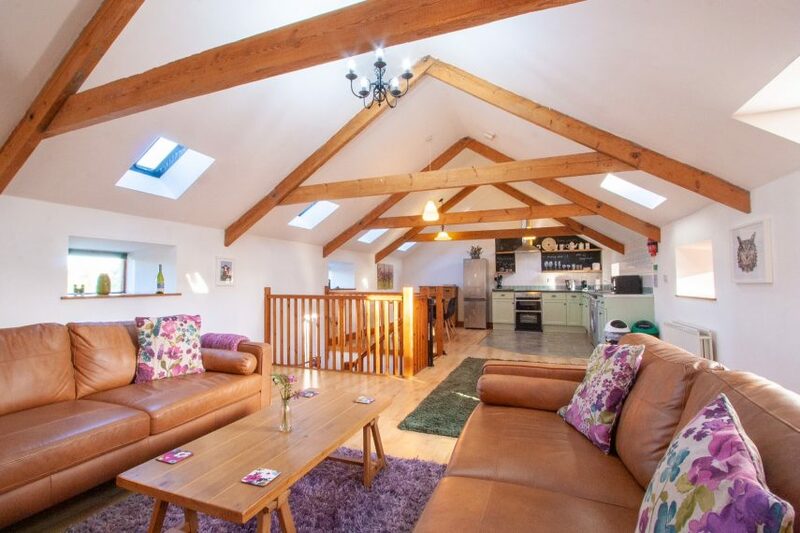 The Byre is a superb, tastefully furnished cottage for 2 people. 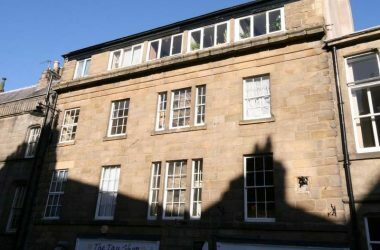 It has been recently refurbished and designed for two people with double bedroom, bathroom with roll top bath and separate shower. 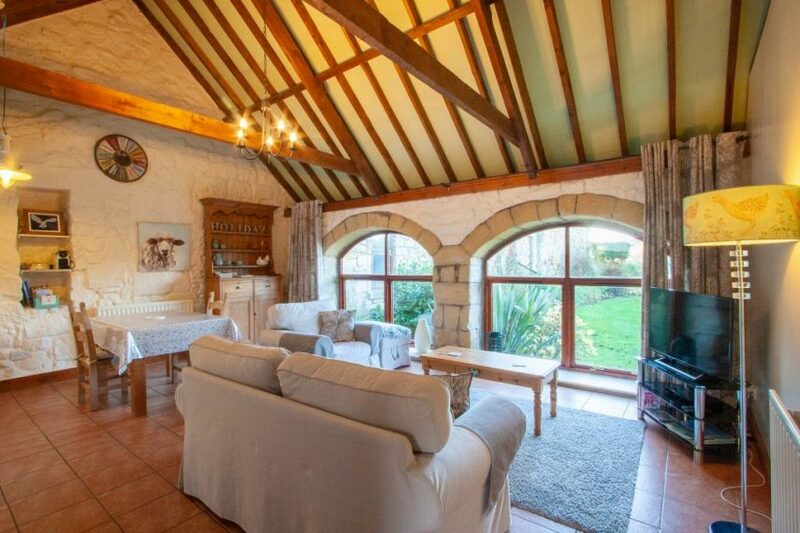 The living area is open plan with feature arched windows overlooking the garden. 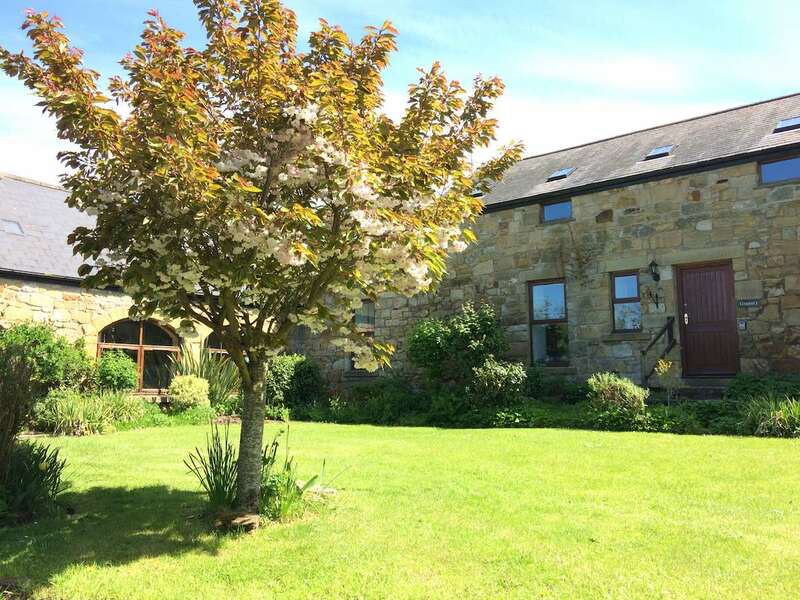 The Byre is surrounded by garden and has garden furniture available for guests use. 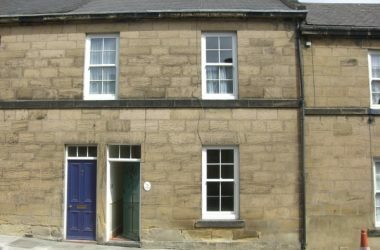 Safe parking is adjacent to the cottage and secure storage for bicycles is available. The cottage is non-smoking and we are unable to accommodate pets. 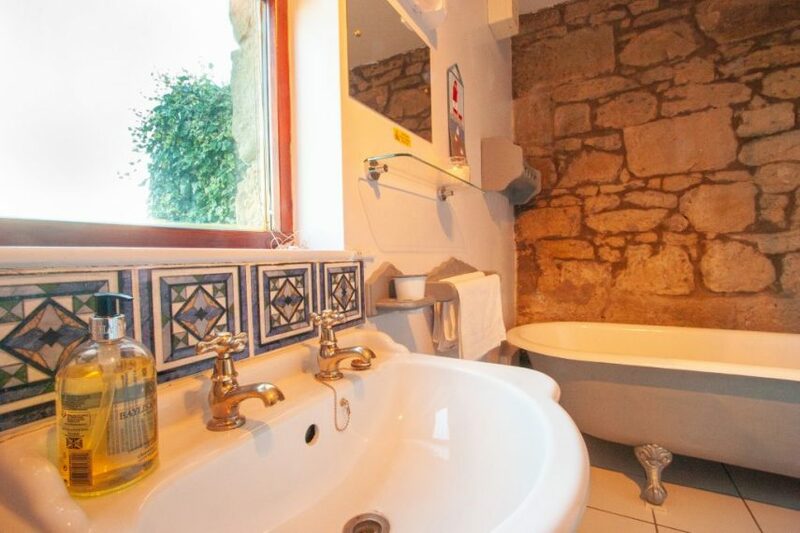 The Granary sleeps 4, with a double bedroom with en-suite shower, toilet and washbasin, twin bedroom with adjacent bathroom containing bath and separate shower. 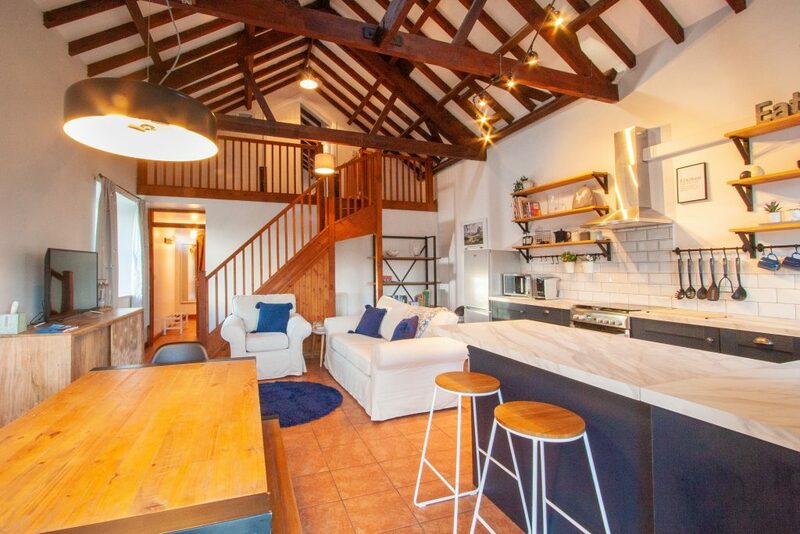 The bedrooms are on the ground floor with a large open-plan first floor kitchen, dining area and lounge featuring exposed roof beams. 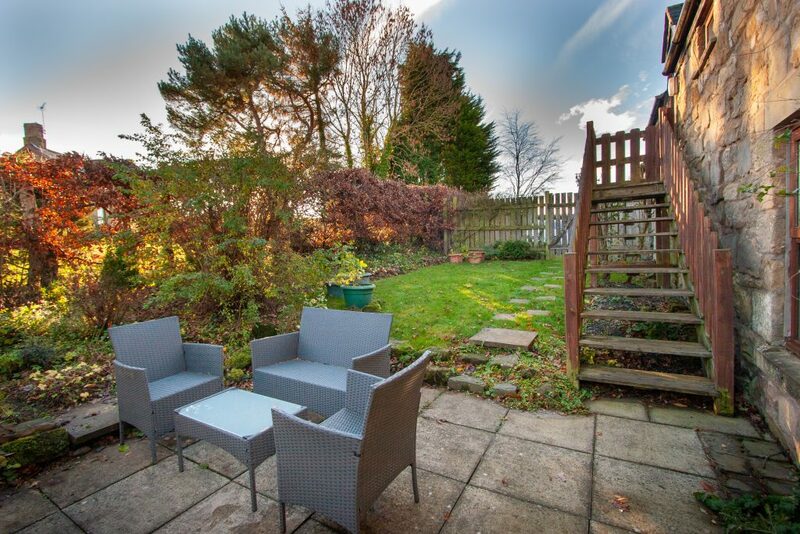 Outside steps from the lounge area lead to a private garden with patio, lawn and flower borders. Private parking area for 2 cars and safe bicycle storage also adjacent to the cottage. 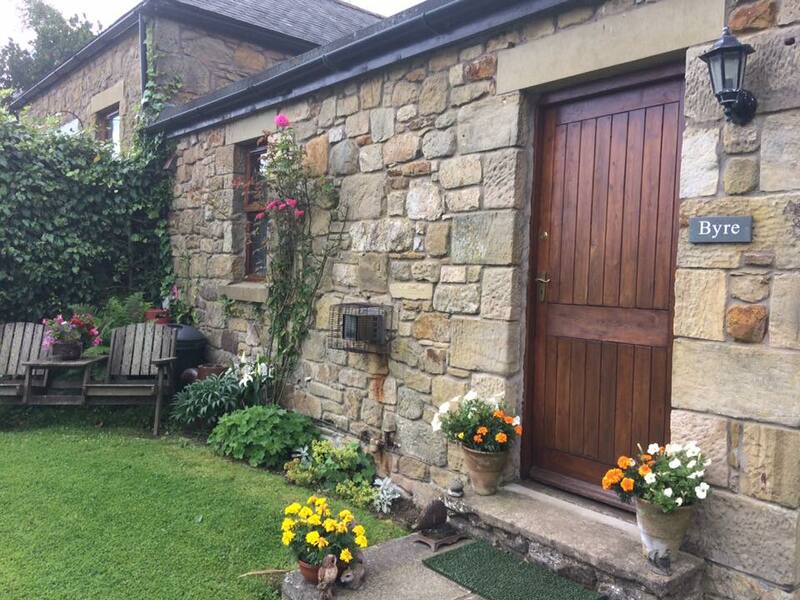 All 3 cottages are fully equipped for all your self catering needs. 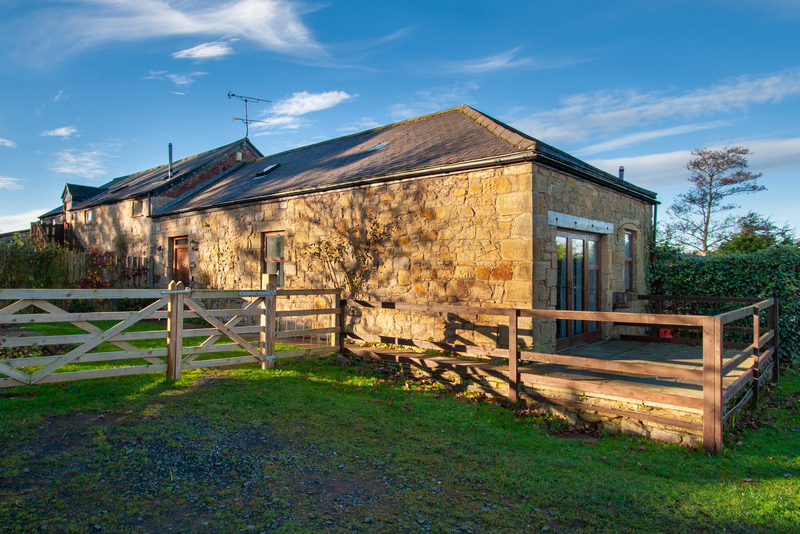 Weekly bookings run on a Fri- Fri basis for the Byre and Granary and Sat-Sat for the Stable. Short breaks available out of peak season. 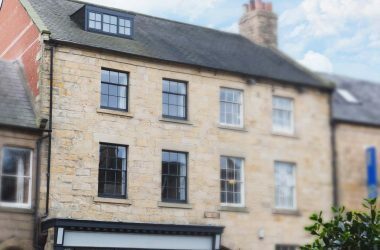 Directions Note: SatNav directions for our postcode are not totally correct – we can only be accessed from the A1068 ‘Alnmouth Road’ from Alnwick or Alnmouth – see Our Directions.